Having attended Pebble for the past 25 years or so, I’ve watched costs continue to escalate and have always dreaded the arrival of the credit-card bill that documented what a great time my wife and I had. But not this time. For the purposes of this exercise, the only caveat is try to keep it under $5,000 a day. Now, of course, this doesn’t include any car purchases — just everything else. 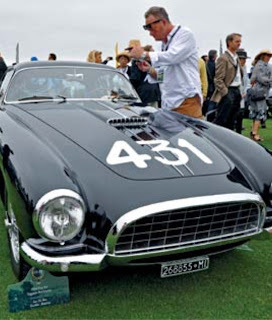 My first call is to Tour Master extraordinaire AlMcEwan, who is the majordomo for the famed Pebble Beach Motoring Classic. The tour is a nine-day, 1,500 mile extravaganza that leaves from Seattle, continues through the Oregon Cascades and then down the California coast, crossing the San Francisco Bay Bridge and arriving at the Pebble Beach Lodge on Wednesday afternoon. About 30 cars attend, and the requirement is that the cars have appeared on the lawn at Pebble Beach or are eligible to do so. The tour cost is $12,000 for a couple but is all-inclusive, including premium lodging, food and libations. Fortunately, Al has an opening, and we quickly take care of the nancial arrangements. Rolling tab: $12,000, and that’s before arriving in Monterey. Accommodations are always an issue during the week. I have my normal overpriced franchise motel reserved, but I’ve always wanted to stay at The Lodge. Checking with the powers that be at the concours of office tells me that there has been a cancellation at Casa Palmero, the boutique 24-room facility that resembles a Mediterranean villa. It is part of The Lodge and is renowned for its personal service, but it comes with a price. The Estate Studio that is available is $1,150 a night plus the taxes, gratuities and other fees. For Wednesday through Sunday, that’s around $6,200. 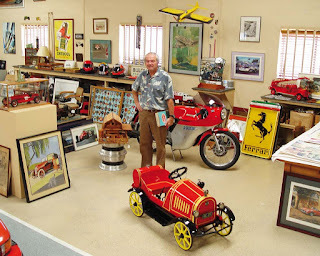 I won’t have much time to relax, as my wife and I will be picked up at 5 p.m. on Wednesday for the McCall’s Motorworks Revival at the Monterey Jet Center. We have purchased Red Carpet tickets for $575 each and look forward to enjoying the “see and be seen” lifestyle event that features current super and vintage cars and aircraft, along with food and beverages from the local upscale providers. Thursday we will be participating in the Tour d’Elegance, so I will have my car ready to go at the Polo Field in time for scrutineering and renewing friendships. 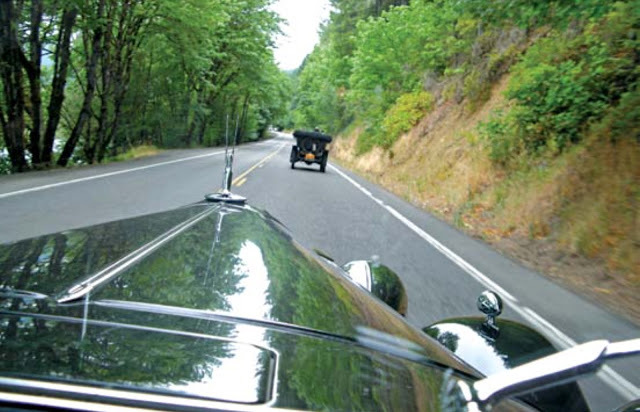 The majority of the entrants in the concours now participate in the Tour, which travels through 17-Mile Drive, often continues out to Laureles Grade and then down Highway One to scenic Bixby Bridge. It returns to Carmel, where the cars are parked along Ocean Avenue for all to enjoy. The cars always draw a crowd in Carmel, and this year will not be an exception. We will get back to “Casa P” in time to unwind a bit before I gather my group of 10 or so friends and head out the Carmel Valley Road to the Baja Cantina and Hot Chili Nights — a gathering of 100 or more collector cars. The Baja Cantina is known for its Mexican food, but I’m also attracted to the automotive memorabilia that owner Pat Phinney has displayed throughout the restaurant. Dinner for the party? $600. Friday, my wife and I will be off to The Quail, A Motorsports Gathering, as we have found a pair of tickets on eBay for $1,500, which is an absolute bargain, as they are listed on StubHub starting at $1,950. 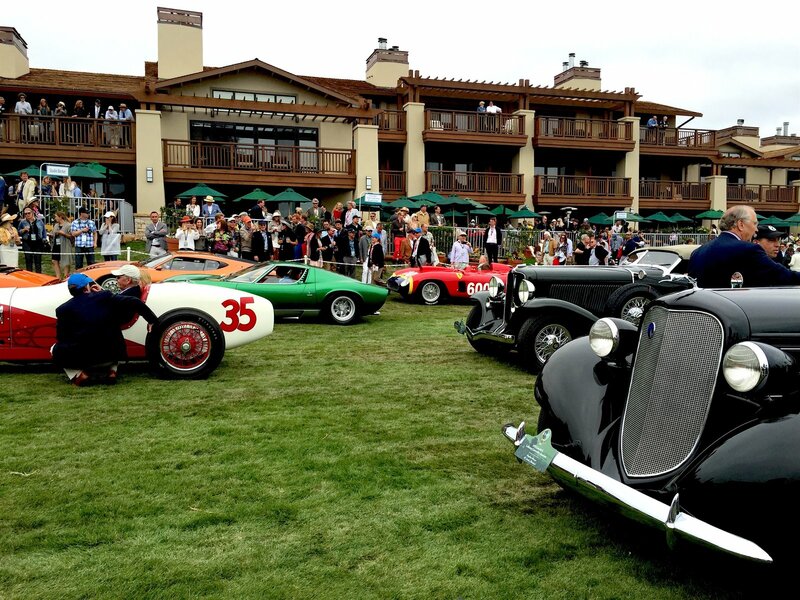 The Quail is a day of exciting motorcars, excellent food pavilions and refreshments from a variety of premium suppliers. It is also a lifestyle event, as you can find displays for anything from exotic cars to multimillion-dollar yachts and most anything in between. We will need some time to unwind when we return to “Casa P,” then we will join friends and walk down to the Lodge for dinner at the Stillwater Bar and Grill, which overlooks the famed 18th fairway and Stillwater Cove. A smaller, more intimate evening. $500. But it will be an early evening, as Saturday will find us in our transportation to Concorso Italiano at the Black Horse Golf Course. Concorso Italiano was first presented in 1985 and features all that is Italian. There will be close to 1,000 cars that are Italian in origin presented in a number of classes. Keith Martin is again scheduled to have microphone in hand as master of ceremonies as he interviews owners and presents the awards. Two CI Club tickets: $495 each. The evening will find us at the Gala Dinner for Pebble Beach entrants, judges and sponsors. We are included as part of the Motoring Classic. The fare is always exceptional and the drink is all top-shelf. The band plays on, but we will duck into the Gooding auction taking place next door. Bidder credentials there are $200, in addition to the $300 we spent at RM Sotheby’s, $150 at Bonhams, $100 at Mecum, $200 at Russo and Steele, and $150 at Worldwide Auctioneers — gotta be ready in case a special car pops up that we need to own. Sunday morning will arrive early, as we will be at Dawn Patrol. There, the cars are greeted by Pebble Beach Concours Chairperson Sandra Button as they enter the field. It is also the best time for photos before it becomes too crowded. We have managed to acquire a pair of tickets for the Chairman’s Hospitality at the Lodge for $2,750 apiece, which provides VIP access credentials and access to the Stillwater Bar and Grill for viewing of the award ceremony. Food and beverages will, of course, be provided. Following the Best of Show presentation, we will take the short walk to the Beach Club for the after-party, which is part of the Motoring Classic package. It is primarily for entrants and judges, as the winners will be congratulated and the others thanked for their participation. It will have been a long day, so it will hopefully be an early evening. When we return to Casa Palmero, there will most likely be a celebration under way in the hosted bar, so plans for an early evening will probably go out the window. Of course, this all illustrates that you can’t see or do everything regardless of your budget — and speaking of budgets, I blew my $5,000-per-day plan, too. But what’s Monterey if not a time to splurge on the experience? With this, I have an exciting Monterey Car Week planned. But my ever-skeptical wife asks if I’m sure the magazine is going to cover this expensive trip. Could my fantasy trip be just that — a fantasy? Monterey Week is coming quickly, August 17th to the 27th. The motoring world will be converging on the Peninsula at Pebble Beach. 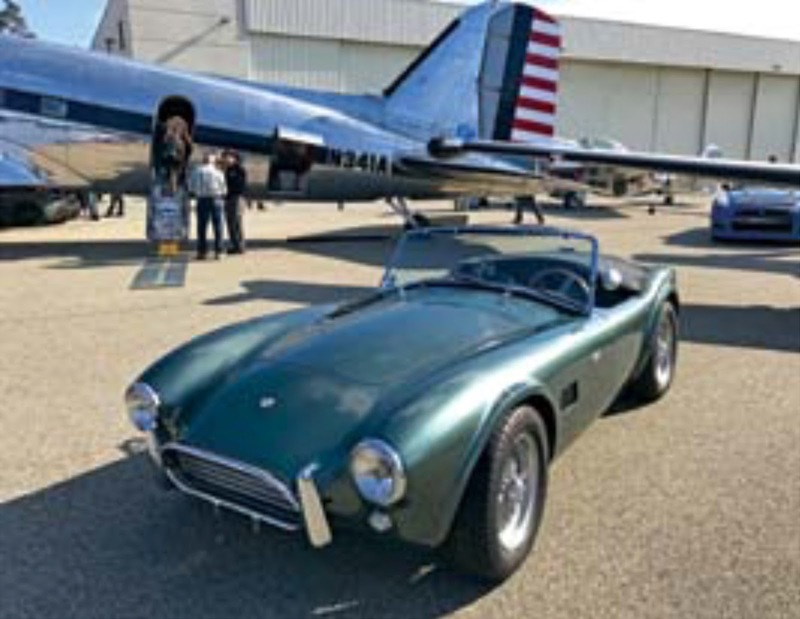 The 10 day long event will be packed with racetrack celebrities, Concours d’Elegance and automobile week, numerous manufacturers’ meetings, car club reunions, forums, vintage car auctions and so much more. But Carl forgot to go to the Race Track at Laguna Secca, where they hold great Vintage Car Races, namely the Rolex Monterey Motorsports Reunion held throughout Autoweek. Great fun but exhausting. 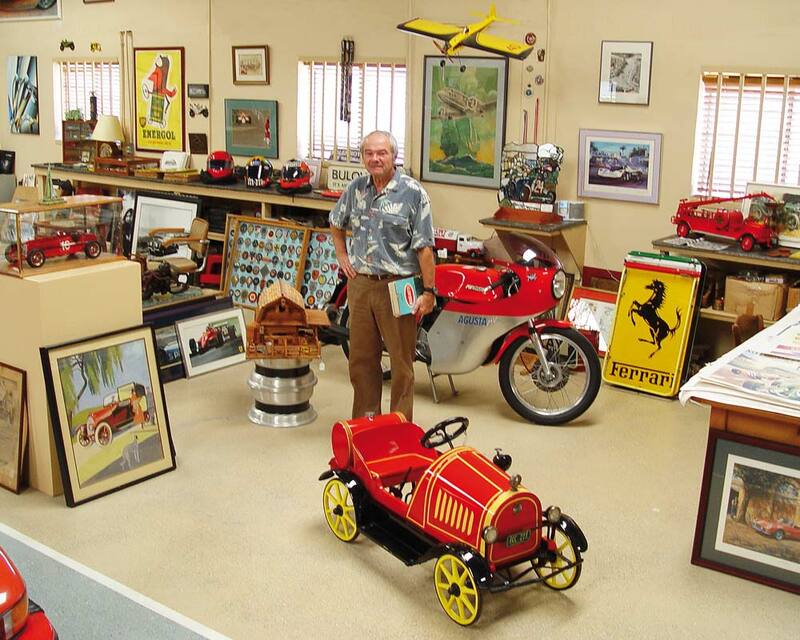 L’art et l’automobile’s very own Jacques Vaucher will as usual be exhibiting some of our latest vintage Automobile Memorabilia at the Spanish Bay Inn from Thursday the 23rd through Saturday the 25th. Make sure to please come by, have a chat with Jacques and Karen and peruse the collection in person. 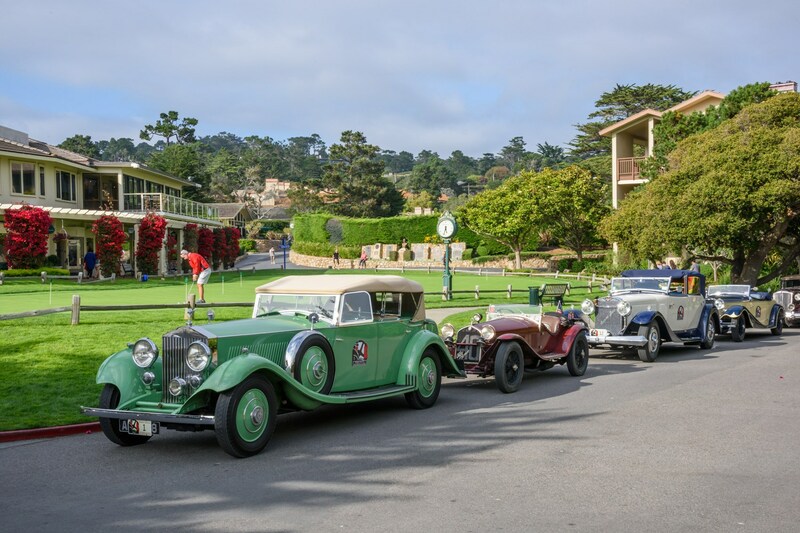 In addition, Jacques has been invited to participate in the Pebble Beach Classic Car Forum on Friday afternoon at 3:30 pm, also at the Spanish Bay Inn. 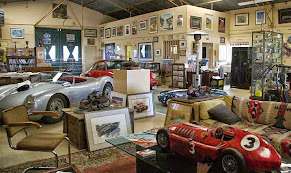 He will be collaborating in a talk on “collecting everything but cars” as part of the panel, for a discussion on all memorabilia surrounding car collecting. Come Visit, and we hope to see you there.